The Sanno Matsuri(Festival) is held annually around June 15. In the Edo Period (1603-1867), the Tokugawa Shogun(General) were pleased to honor the Sanno Festival with their presence because Hie Shrine housed the guardian deity of Edo. Three sacred palanquins, carrying three gods, entered the grounds of Edo Castle on festival days. 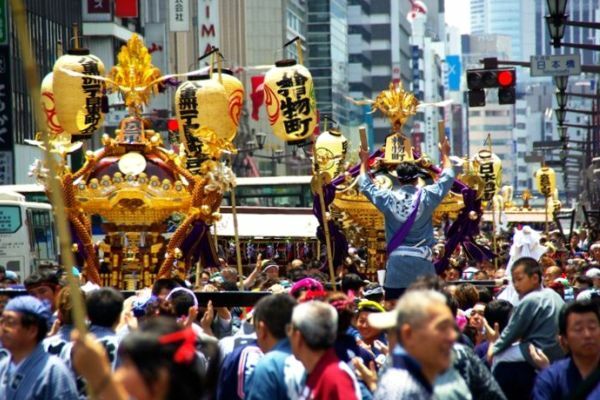 Sannō Matsuri or the Sannō Festival, is one of the three great Shinto festivals of Tokyo, along with the Sanja Matsuri and Kanda Matsuri.